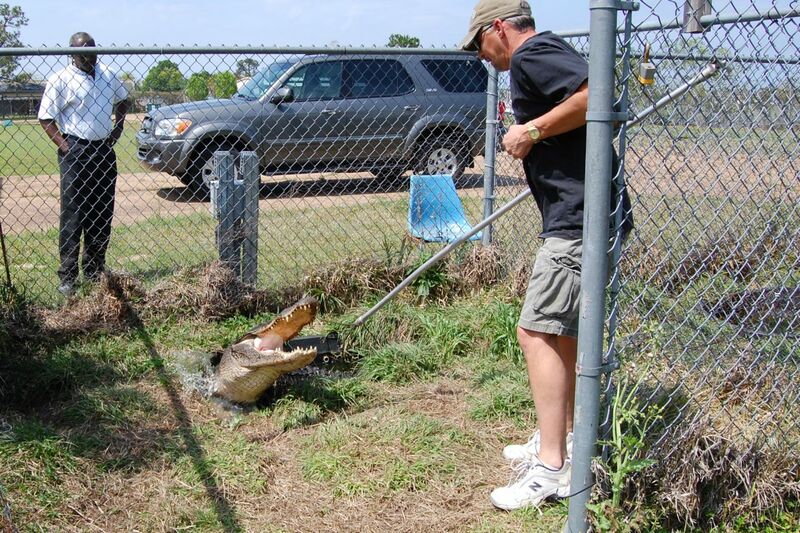 In March of 2009, I visited McNeese State University in Lake Charles, Louisiana to give a talk and visit my collaborator Prof. Mark Merchant, “the alligator man”. 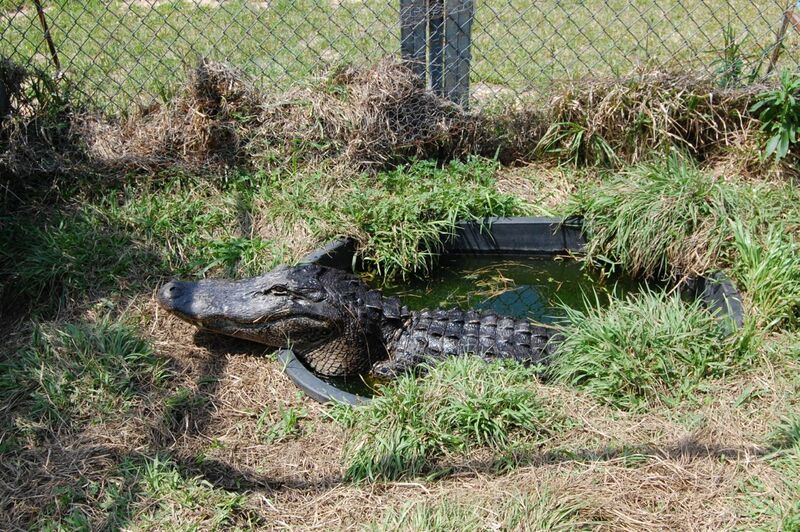 Mark gave me a tour of his alligator holding facilities on campus. Mark wanted to get this alligator to open its mouth so that I could get a good photo. 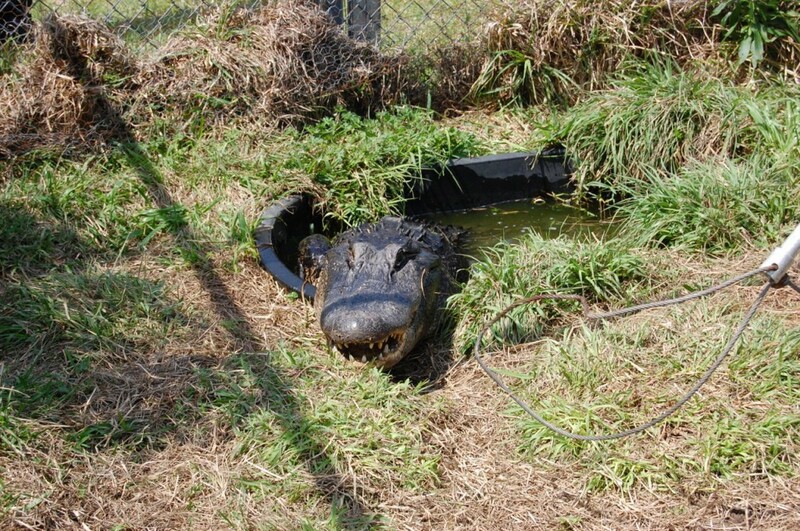 Sure enough, the alligator did open his mouth. Note Chemistry Department Head Ron Darbeau who was on the proper side of the fence during all of this. I was 15 feet away and the gate was open. 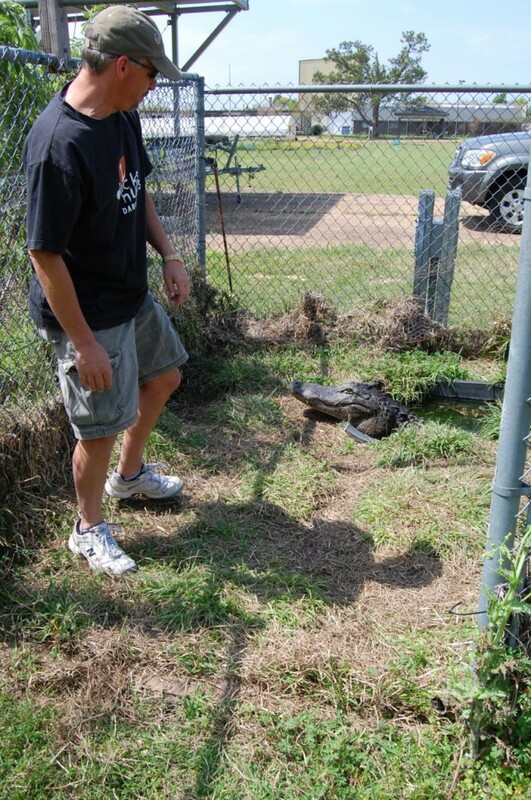 Prof. Mark Merchant testing alligator stimulus and response at McNeese State University March 2009. 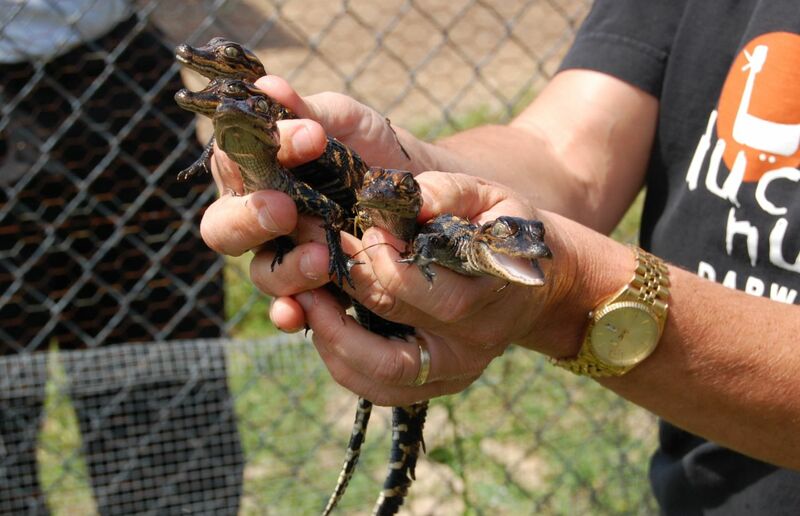 In the next cage over, Mark scooped out a handful of baby alligators. 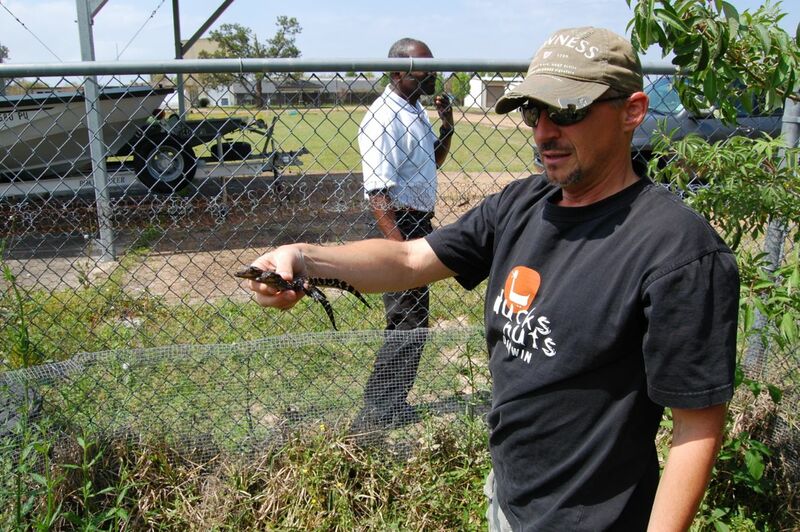 I call the one on the right “Bitey” – he clamped down on my knuckle when I unwisely offered it to him.